Orthodontic Retainers Columbus OH | Dr. Michael Firouzian D.D.S. The last stage in orthodontic treatment is the use of a retainer. This helps your teeth stabilize and remain in place. If you want to preserve the straight teeth you achieved with your orthodontic treatment, wearing your retainer is vital. But we have good news: our digital printer lets us print retainers in our office, which means you can get them faster and cheaper. If you are considering orthodontic treatment or need a replacement retainer in Columbus, OH, please call (614) 848-5001 for an appointment with cosmetic dentist Mike Firouzian at Firouzian Dentistry. A retainer is a type of (normally) removable orthodontic treatment that is normally used to retain your teeth in place after an orthodontic treatment. The most common type of retainer is the one you’re probably familiar with, which has a plastic body and a metal wire that goes around your teeth. This is called the Hawley retainer. 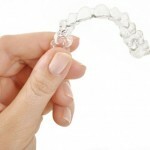 Like Invisalign orthodontics, retainers can now be made using clear plastic. These are called Essix retainers, after a common brand name. These may or may not be a good option for your retainer. In rare cases, a fixed retainer may be used if there is concern that you won’t wear your retainer. Retainers are used to help your teeth stay in place after orthodontic treatment. Orthodontics works by encouraging your bone to reshape around your teeth. 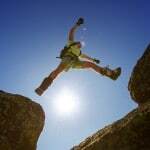 However, the newly-formed bone isn’t as sturdy as the body’s other bone, so your teeth are vulnerable to drifting back to their former positions, especially since you are constantly exposing them to force pushing them in that direction with your bite. The retainer holds your teeth in place, allowing your bone to become more solid and allowing your bite to adjust to the new positions of your teeth so your teeth are less likely to drift. When you first start wearing a retainer, you may have to wear it all day. Then you will shift to wearing your retainer all night every night. Finally, you will only have to wear your retainer a few nights a month to maintain your teeth in their desired positions. When you first start wearing your retainer, it can feel a little unusual. This can make you not want to wear it. Put your retainer in context to help yourself understand the benefit of wearing it: if you don’t wear your retainer, all your orthodontic work will be wasted. Talking with your retainer may be difficult at first. Reading aloud is a good way to practice speaking with your retainer in. Excess saliva flow is normal when wearing a retainer. This should go away after the first few days. Your retainer should not be uncomfortable to wear, since it’s fitted to your teeth as they currently are. If your retainer is bothering you, please mention it, and we can adjust it. Although special decorated retainers are often advertised for children, adults might benefit from this as well, since it helps you identify with your retainer and makes it more likely you will see your retainer as part of you and less like a foreign object in your mouth. Caring for a retainer is similar to caring for a denture. Usually, you will take your retainer out for eating. When your retainer is out of your mouth, put it in water to help it retain its shape and size. Don’t put your retainer in hot water or near a heat source. Clean your retainer when you brush your teeth. Clean your retainer by removing it and brushing it with a soft-bristled toothbrush or denture brush, then soak it in a cleaning solution like the one used for dentures. Brush and floss your teeth normally while your retainer is out. Retainers can be broken if mishandled, so don’t try to reshape or refit your retainer. The main danger with retainers is forgetting them and leaving them behind. Identifying with your retainer through a characteristic design can help, but the most important way to keep your retainer from getting lost is to establish a good routine for what you do with your retainer whenever you take it out. This good habit will help keep you from losing your retainer. Do you have more questions about orthodontic treatment, or are you looking for a replacement retainer in Columbus, OH? 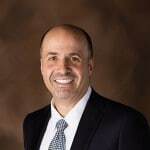 Please call (614) 848-5001 or contact us online for an appointment with Columbus, OH cosmetic dentist Dr. Mike Firouzian at Firouzian Dentistry.